Research firm Consumer Intelligence Research Partners’ data shows that the total userbase for smart speakers in the US hit 66 million in December. It appears that the devices’ popularity is increasing: that number is almost double the 36 million installs recorded one year ago. Amazon’s extensive Echo line makes up 70 percent of the install base, while Google Home accounted for 24 percent during the most recent quarter. Sitting at just 6 percent, Apple has around 4 million HomePods in US consumers' homes. Costing $349, the HomePod is, of course, a lot more expensive than its competitors. It’s also available in just one size, unlike the much cheaper Echo Dot and Google Home Mini devices. It also seems that more people now have multiple speakers, with 35 percent of owners boasting two or more—an 18 percent YoY increase. “Holiday shoppers helped the smart speaker market take off again,” said CIRP co-founder and partner Josh Lowitz. "Amazon and Google both have broad model lineups, ranging from basic to high-end, with even more variants from Amazon. Apple, of course, has only its premium-priced HomePod, and likely won't gain significant share until it offers an entry-level product closer to Echo Dot and Home mini." 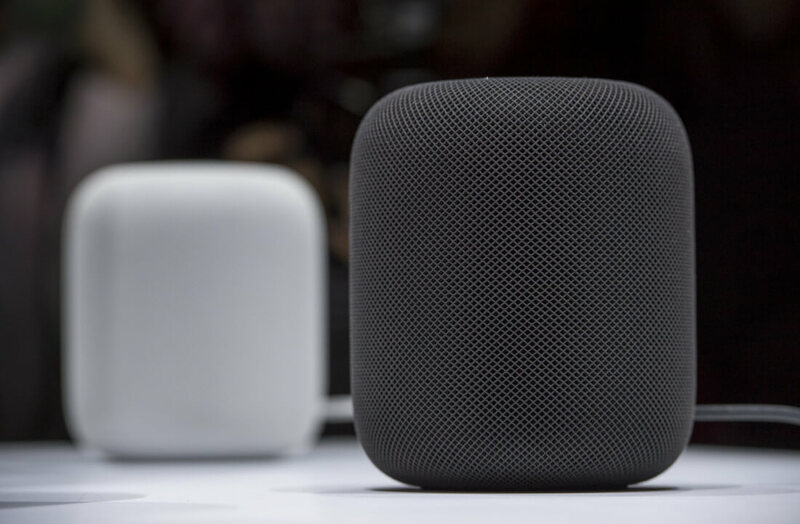 Renowned analyst Ming-Chi Kuo last year said that the lower-than-expected sales of the HomePod had led to Apple considering a cheaper version of the device, which could cost between $150 and $200. Just how much it would help the firm gain a larger share of the market remains to be seen. So, how much of the market is Apple's for premium devices? I understand the need of looking at the market in toto, but it is meaningless without also segmenting the market. A $20 speaker is not in the same market as a $400 speaker. I suspect that such a breakdown would show that Apple "owns" a very large part of the premium market.